A creamy combination of garlic, lemon, and cage-free eggs, this savory mayonnaise spread is infused with real food ingredients and uncompromisingly delicious taste. 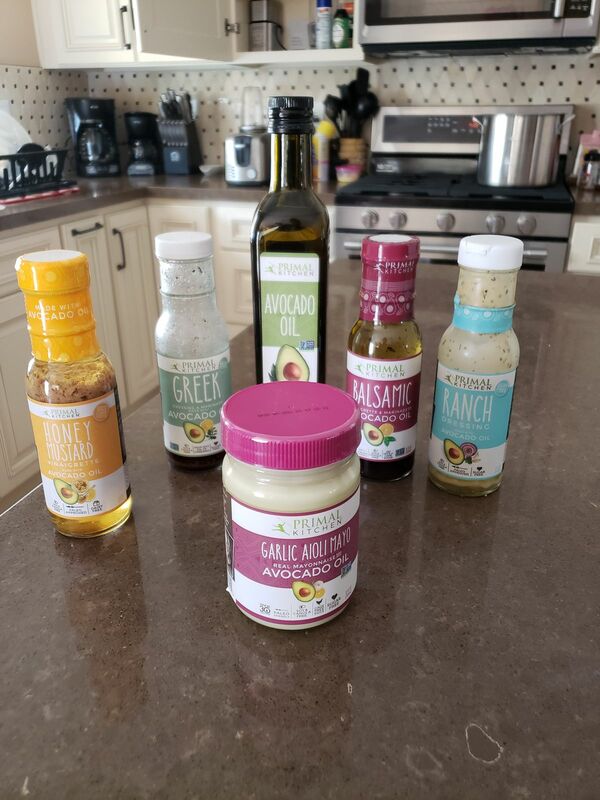 Meet Primal Kitchen's Garlic Aioli Mayo made with avocado oil—the ultimate condiment for flavor fanatics and culinary enthusiasts! Creamy, smooth, and savory, this delectable mayo’s bright and bold flavor transforms ordinary sandwiches, wraps, chicken dishes, and roasted veggies into mouthwatering feasts. Even more, this spread contains monounsaturated fats from pure avocado oil, and is made with organic, cage-free eggs and savory garlic oil. To top it all off, our Garlic Aioli Mayo is free of gluten, added sugar, dairy, and industrial seed oils (like canola, soy, sunflower, or safflower), making it a welcome addition to your kitchen arsenal. Whole30-Approved and Keto-friendly, this garlic-infused mayonnaise was made to be dipped, slathered, and shared to your heart’s delight! Great product. Would highly recommend.. I wish I could say I’d keep buying this but the lemon flavor overpowers the garlic and makes it too sweet to be used most savory ways mayo is used. The flavor doesn’t work for me. I will have to find other uses for it that go with the strength of lemon flavor. I can see it being used with fish or tuna salad. This is the yummiest yet! We love this mayo! Rich, creamy, tastes so pure and delicious! The flavors blend well and the garlic doesn't overpower. A real keeper! Kelly K. Reviewed by Kelly K.
Bought this for my husband and he loved it. Tastes great with a variety of foods, even fish. Matt Z. Reviewed by Matt Z. * There is no guarantee of specific results and results can vary from person to person. However, we feel so strongly about our products that we offer a 30-day money back guarantee. Try Garlic Aioli Mayo today, and if you're not completely satisfied with the results, return it for a full refund minus shipping and handling—no questions asked.